If you would like to become an Australian Citizen you can either visit http://www.citizenship.gov.au/ to download the relevant forms or telephone 131 880 to have the application forms sent to you. After completing the relevant paper work, you will be interviewed and then all information will be assessed by the Department of Immigration and Border Protection. Once your application has been assessed, Council is notified and our staff will contact you to arrange your attendance at a convenient ceremony. Your Certificate of Australian Citizenship is forwarded to your local Council and presented on the day of the ceremony. 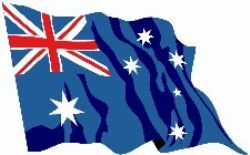 Note: Citizenship Ceremonies are held every three months, on Australia Day - 26 January and in April, July, and October. In extenuating circumstances and with the permission of the Department of Immigration, arrangements can be made for an urgent ceremony to be conducted. New citizens are invited to bring along family and friends to participate in the ceremony and to join in afternoon tea following the ceremony. Await confirmation advice from the Department of Immigration and Border Protection that your application has been successful. Await receipt of letter from the Council confirming that relevant paperwork has been received and advice of the date of the next citizenship ceremony. Confirm your attendance at the ceremony (or make arrangements for a more suitable date) and advise number of guests you would like to bring with you to your Citizenship Ceremony. Enjoy afternoon tea with family, friends and other new Australian Citizens.